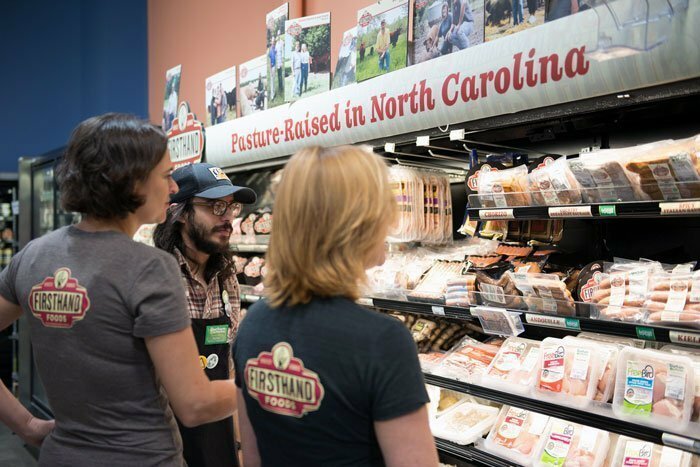 Firsthand Foods (FHF) is a Durham-based company that connects local, sustainable farming with North Carolina’s chefs and consumers. 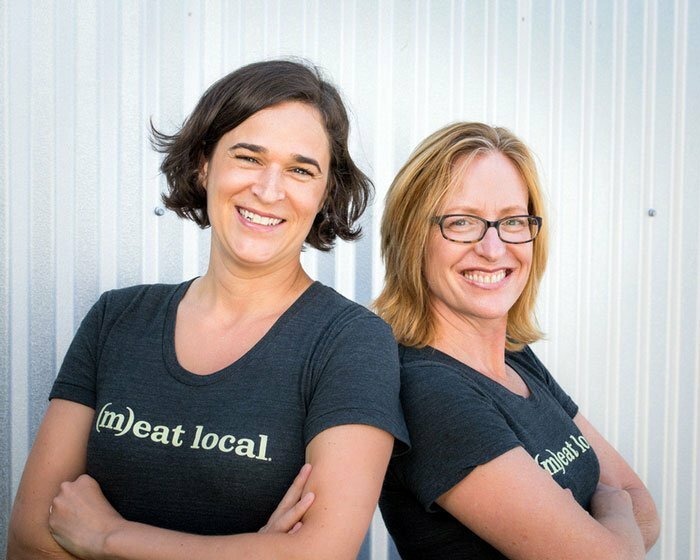 From humble beginnings as a food truck outside Fullsteam Brewery, they’ve become a major player in our state’s local food retail movement. Through our conversation, co-owner Jennifer Curtis shared info about the company. She also unveiled an interesting story about her arrival to this industry and North Carolina, her hopes for the future of Firsthand Foods, and how we can all play a part. Jennifer, left, delivering a Firsthand Foods (M)eat Local Box. That provides home cooks with a monthly delivery of fresh, pasture-raised pork and beef sourced from their network of family farms. Photo Credit: The Splinter Group. Jennifer grew up in Delaware and spent the first decade of her career on the West Coast after attending school in Oregon. She then worked for the World Wildlife Fund in Florida. This is where her interest in sustainable livestock production started coming together. For one particular project, Curtis and her team brought together cattle ranchers and environmentalists. After moving to North Carolina to be near family, Jennifer then became the Director of NC Choices in 2006. That is a Center for Environmental Farming Systems (CEFS) project. While working there, she had to figure out ways to scale the industry and push its boundaries beyond farmers markets. “That was when I began to see that we needed some kind of entity ‘in the middle.’ It would connect farmers with chefs and other larger-scale buyers,” Curtis explained. Tina, with hog farmer Dwight Hall. Photo Credit: Stacey Sprenz. And that’s where she met future business partner. Tina Levy working on her MBA at UNC’s Kenan-Flagler Business School at the time. Tina is a native North Carolinian (Robeson County) and the granddaughter of a hog farmer. 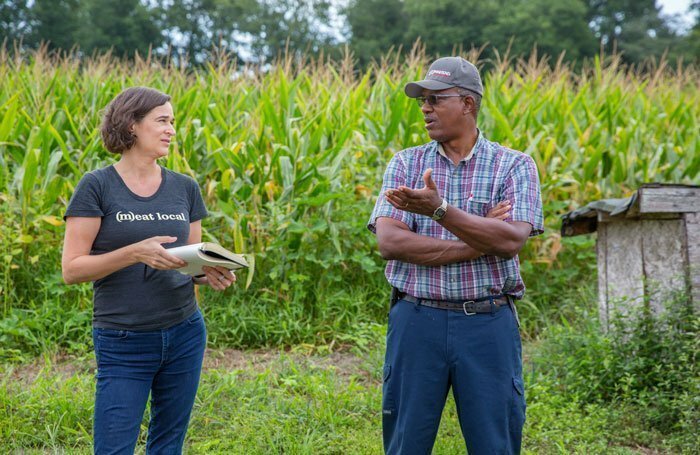 When she heard about NC Choices, Tina was immediately drawn to the idea of figuring out a viable business model to help revitalize rural economies in her home state. Today, there’s a huge emphasis on local but in case you don’t remember, this wasn’t always the case. “When we started out, we had to overcome somewhat of a bias against local meats for being of poorer quality,” Jennifer said. Yes, there were high-quality and sustainably produced meats in the area. However, there weren’t enough in quantity to scale. That led to a struggle when first searching for farmers who could meet their standards, who shared interest to be a part of Firsthand Foods. That’s not an issue today, thanks to years of building a solid brand. Curtis, Levy, and their team have put in the work with chefs and making sure their employees stay happy. Photo Credit: The Splinter Group. Thanks to financial help from CEFS, the business started out with fairly low risk and initially ran as a pilot project. 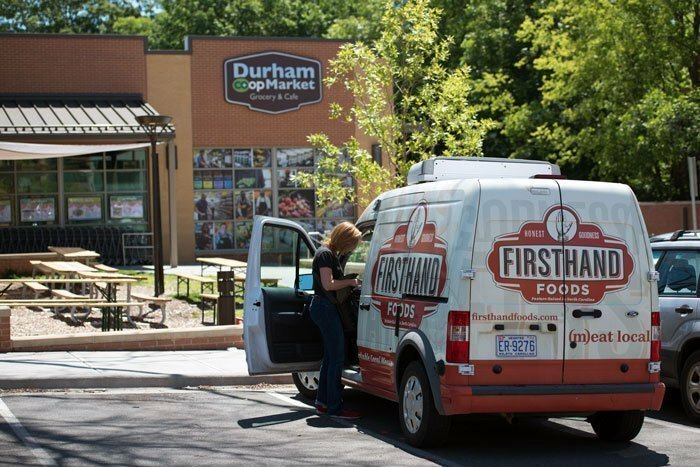 Firsthand Foods humbly began as a food truck in Durham, before that industry’s boom hit a few years later. A loyal following and social media fan base helped them grow to the point of retail sales. The “Food Truck” phase ended after three years. 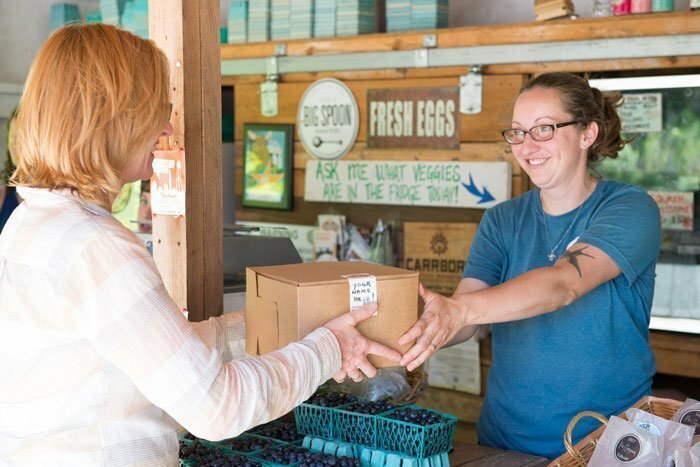 And nearly a decade later, Firsthand Foods supports 40-plus farmers and sells to more than 100 customers on a weekly basis. In the true spirit of long-term growth, 75 percent of revenue gets pumped back to where it came from—the farmers and processors who make it all happen. Curtis is also proud of the supply chains they’ve built. “They include creating new markets for beef and lamb producers in North Carolina. And this includes ones that were not there before Firsthand Foods. Of course, there are still challenges that remain for this thriving business. According to Curtis, “whole animal utilization” tops the list. “We work very hard to try and utilize the entire animal, all parts from the nose to the tail. This is a key to profitability. And it’s a huge challenge!” Restaurant menus change all the time and markets fluctuate by season, especially in University-led towns like Chapel Hill and Durham. Teamwork and hard thinking helps everyone at Firsthand Foods stay on their toes to balance supply and demand. Both help them think ahead to future challenges that may arise. We’re one of the many who have enjoyed Firsthand Foods-produced meat at restaurants throughout the Triangle. A few places that come to mind are The Durham Hotel, Whiskey Kitchen in Raleigh, and Table in Mebane. But there are many more, and you can see that via the Firsthand Foods website. 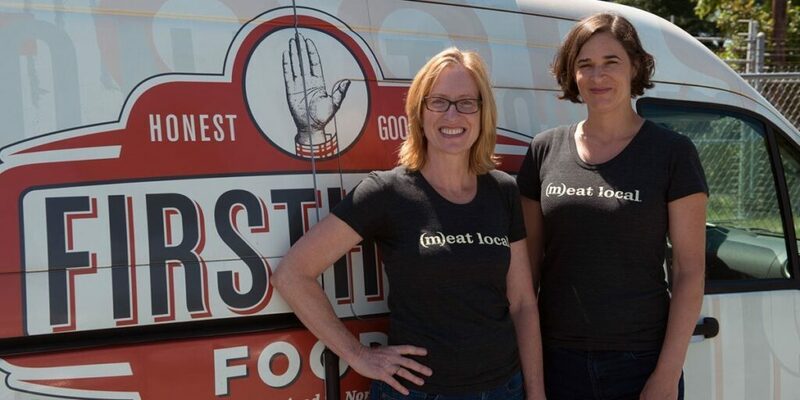 Have you visited any restaurants that use meat produced by Firsthand Foods? How do you feel about mission-driven meat and what do you think it will do for North Carolina farmers going forward? This feature is part of our series on North Carolina food and the People of NC. Featured image by The Splinter Group. Special thanks to Susan Dosier from DK Communications Group for connecting us with Jennifer. All opinions within this article are our own. This entry was posted in People of NC and tagged Durham, Food, Research Triangle, The Piedmont.